While mobile phones used to come in all shapes and sizes, device makers have largely standardized around the flat glass slab. But we could be looking at another big shift in smartphone design with the impending release of foldable phones—the most anticipated being Samsung’s foldable phone(presumptively named Galaxy Fold, according to reliable leaker Evan Blass). Parts of the necessary technology have existed for years, but Samsung, Xiaomi, Motorola, and others are expected to finally bring foldable phones to market in 2019. So how will Android handle this shift? Well, that depends. OLED panels are flexible by their very nature—you’ve probably seen demos of bendy screens for years. 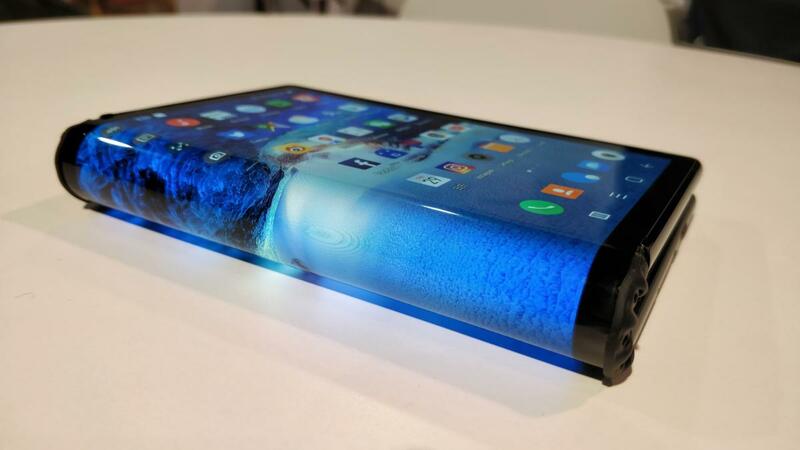 But to deploy a flexible OLED in a phone, manufacturers need to ensure the display can fold multiple thousands of times without failing. This entails reengineering the lamination between layers, along with new display drivers, of course. The technology exists to make this work (Samsung has already shared a teaser of its Infinity Flex display), and some OEMs are wasting no time. You can technically already get a foldable phone—as long as you don’t need it to be good. The Royale FlexPai burst onto the scene a few months back, available for purchase as a “developer” device for about $1,300. 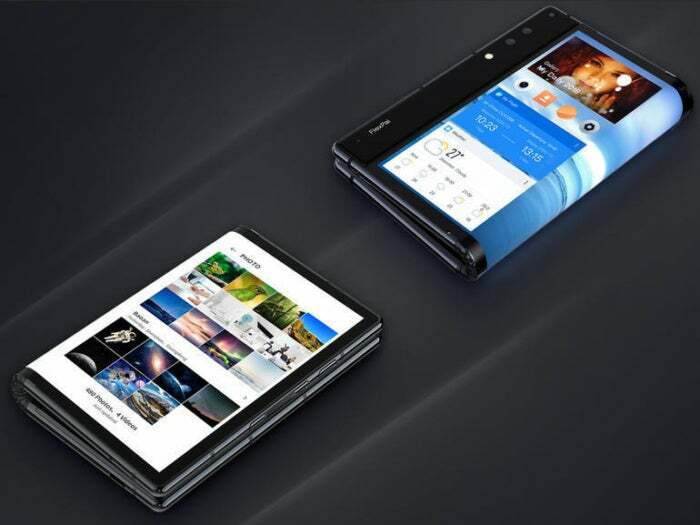 By all accounts, using the FlexPai is a profoundly bad experience, but it’s still the first publicly available folding phone. The Royale FlexPai is the first foldable Android phone you can buy, but you really shouldn’t. Motorola is also reportedly planning to relaunch the Razr brand as a foldable phone. Unlike the FlexPai or Samsung’s foldable phone, this would have a smaller phone-like OLED in a throwback clamshell configuration. While not as imposing from a software perspective, it’s still going to require some customizations. For example, it will need custom code to support app continuity between the outside and inside screens. 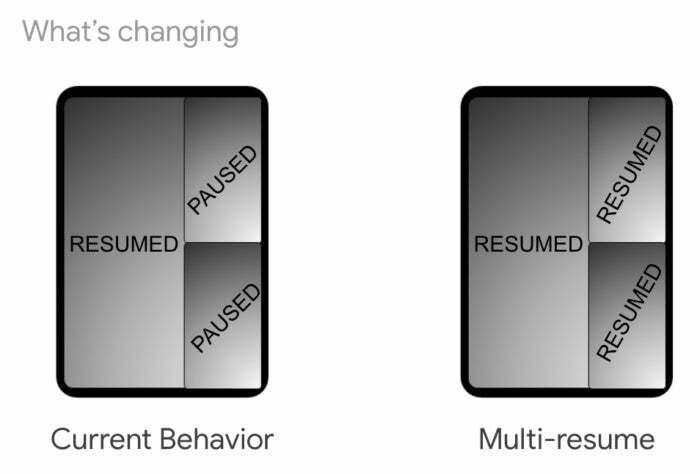 The goal is to create a continuous interface with as little interruption as possible, along with sensible app behaviors that don’t disrupt the user experience. Android apps can resize for larger surfaces (e.g. tablets), so a phone that folds open to provide more space would have at least this basic level of functionality today. For instance, apps could have some level of continuity between smaller folded and larger unfolded states. As of Android Pie, Google included some optimizations that can help make foldable phones usable. For example, there’s support for “multi-resume” in Pie, which is an extension of Android’s multi-window API. The feature allows device manufacturers to keep all apps resumed in multi-window mode, meaning they will continue to update live. All this is helpful, but the companies making flexible phones with Pie will need to create some custom code to make things work, and that’s not going to be easy judging from the FlexPai’s buggy UI. Google is coming to the rescue, though, in its next Android version. Samsung teased its foldable phone late last year, complete with a tweaked Android user interface. Of course, Android enthusiasts wondered if Samsung was creating a completely custom software interface for foldable phones. Well, to answer some questions, Google took the unusual step of unveiling features from an upcoming Android release and confirmed it was working with Samsung directly. Thank goodness, too. Allowing OEMs to roll their own foldable interfaces would lead to broken apps and frequent user confusion. There are two general configurations for foldables in the next Android version. First there’s closed…. And second, there’s open. Notice how the video tiles shift sensibly. The next version of Android (presumably code-named Android Q) will include support for foldables in two different conformations: There will be one-screen foldables that fold over to leave the display exposed on both “sides” of the phone, as well as two-screen foldables that will fold closed with a secondary display on the outside. Upcoming changes to Android will change the way background apps behave. Google also says the multi-window and continuity features of Android will be expanded in order to support foldables. Apps that target Android Q will be able to operate in one-screen mode and transition seamlessly to the other folded state. These devices will also support “Multi-Active Window” operation. 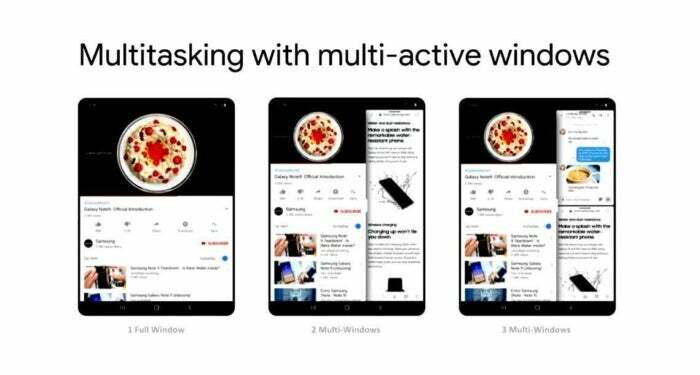 That’s the next step in Android’s existing multi-window capabilities, and will allow you to run one app in a larger view and two others in smaller tiles next to it. Do you remember the first generation of official Android tablets? It was a bit of a mess as developers tried to come to terms with new formats and usage paradigms. In many ways, the bumps were never smoothed out, and interest in Android tablets—which has always been shaky—has waned. The promise of a foldable phone UI. And now foldables could be set for another rocky start. Hopefully, Google has learned its lesson from tablets and will make a stronger case for development that focuses on foldable devices. Still, Android will have very barebones features to support foldables in Android Q, and we just don’t know how people will use these devices. Spending more than a thousand bucks on a first-gen foldable phone is very much a leap of faith. You’ll have to hope that Google and Samsung can make this format work, and you’ll be a guinea pig in the meantime.